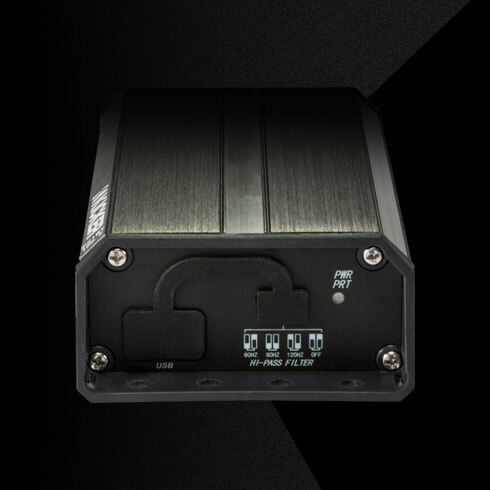 PX Amplified Controllers are specially designed to deliver convenience and tremendous power in a tiny, weatherproof footprint – great for your classic car, side-by-side, golf cart, farm tractor, anything without a source! You don’t need a radio to enjoy great tunes! 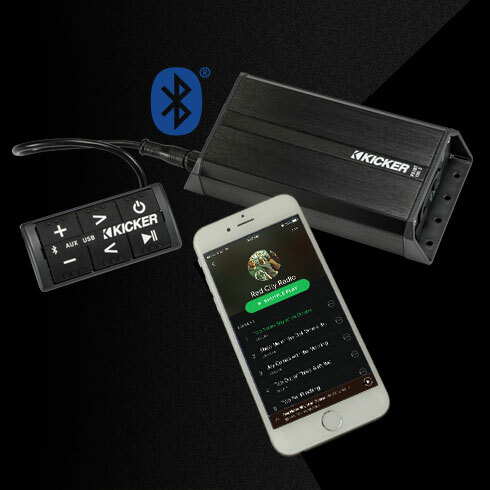 PX Amplified Controllers work with all media devices via Bluetooth® wireless streaming, providing up to 100 watts of power to your existing sound system in your vehicle. 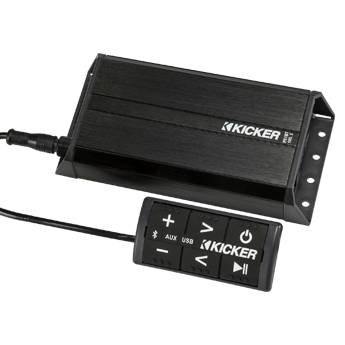 The remote’s illuminated display is easily read, with track and source controls independently lit. The only thing small about the PXi’s amps is their footprint. Made to fit nearly anywhere, these miniature power plants start at about six inches in total length. They fit perfectly under seats or in glove compartments. 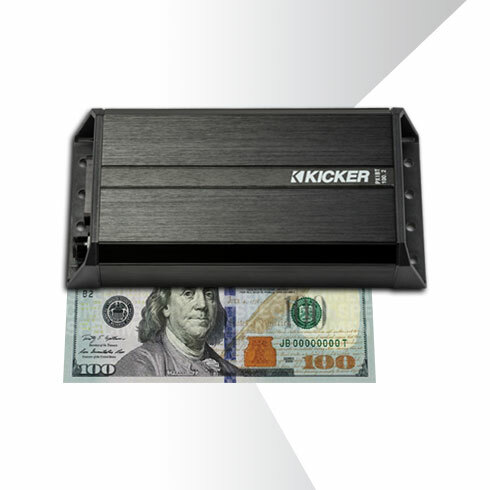 A charging, audio-enabled USB input is included in the PXiBT100.2, and all PX Amplified Controllers come with a 3.5mm auxiliary input and stereo full-range output for a larger-than-life sound system.